In our life in Russia, walking isn't just optional recreation (although it's one of my favorite ways of relaxing), it's a major part of our daily life. I've always loved walking long distances, keeping a vigorous pace. The distance between the Institute on Radio Street and our home on Yalagin Street is ideal for working up a light sweat while keeping tabs on the life of our city. Unknown to me, a bone spur on my left heel had been conspiring against me by irritating my Achilles tendon. 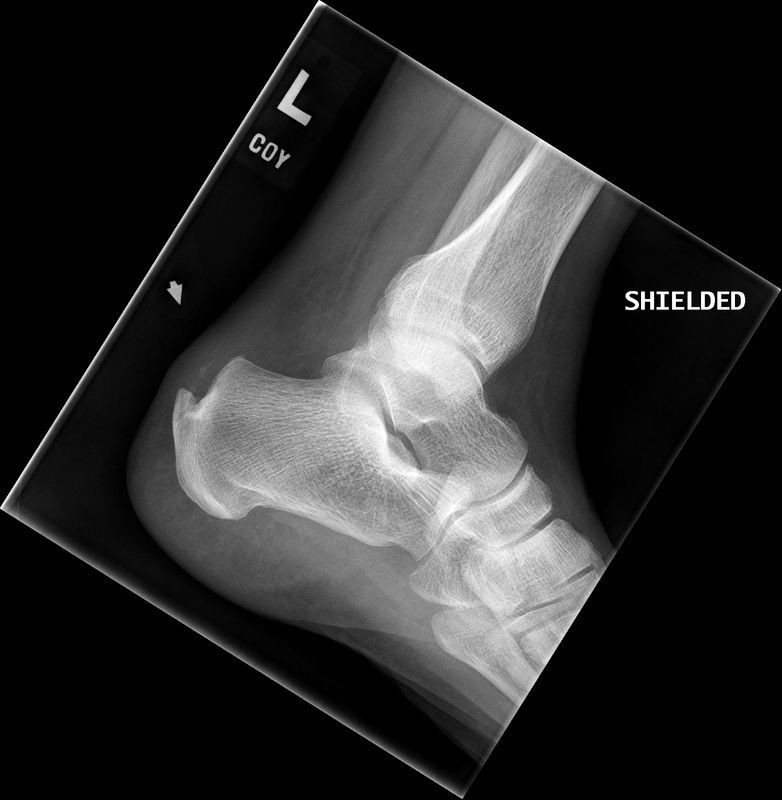 Increasing pain and an involuntary limp finally drove me to report my symptoms to a doctor, leading to an X-ray, a consultation with a specialist, and a boot. 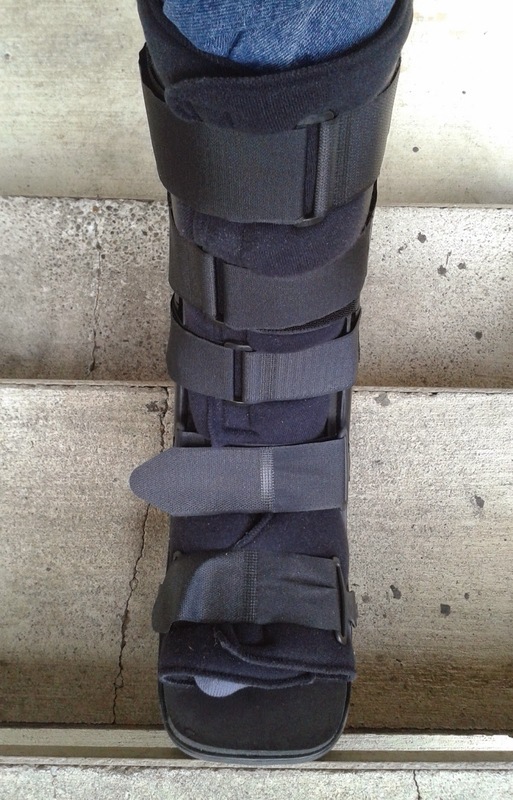 Only two days after starting to wear the boot, I was already starting to feel relief. At first I was pretty wobbly. The boot's rounded heel made me feel as if I was about to fall backwards, especially on stairs or uneven ground, or if I was getting up from a chair. To keep balance on stairs and uneven surfaces, I also use a cane. It turns out that the boot and cane have an unexpected benefit: I've had to slow down. I've had to take notice of my restlessness, and tame it. I've had to ask for help sometimes, which is a spiritually instructive thing. Camilla Läckberg's detective stories, featuring policeman Patrik Hedström and a diverse cast of small-town characters in Fjällbacka, Sweden. A lot of them come across as stock characters, especially those in comic-relief roles. (The police chief is a perfect example.) There are arrogant rich playboys, abusive husbands, insensitive in-laws, and other recurring figures who are easy not to like. But there are also warm friendships and marriages, ministers who are genuine pastors, and detectives who get believable solutions through hard work and intuition. And Läckberg's plots usually revolve around intricate family secrets. Since I come from a Scandinavian background in which respectability is the highest priority, family secrets in fact and fiction are sources of endless fascination to me. Francis Spufford, Red Plenty. This is the most unusual book I've ever read about the Soviet Union. It's as if Alistaire Cooke and the Coen brothers had somehow collaborated on a docudrama-in-print covering the years of Khrushchev's rise and fall. In little gemlike vignettes interspersed with wry explanatory asides and united by several recurring fictional and real-life characters, including Khrushchev himself, Spufford portrays the earnest inventors, the cynical fixers, the naive intellectuals, and the grim realists who led the country to the edge of the New Soviet Society, in which all the promised advantages of the Planned Economy seemed within reach. As unlikely as such a mashup might seem for either instruction or entertainment, Spufford totally pulls it off. Lydia Millet, Ghost Lights. I've long been a fan of this writer, who observes human beings with a delightful combination of whimsy and sympathy that reveals every hidden thought and motive in her characters. In Ghost Lights, we reconnect with T., one of the main characters from How the Dead Dream (which I wrote about here). At the end of the earlier novel, T. disappears, and now we learn that his real estate development firm is in danger of collapsing in his absence. Millet introduces us to Hal, who works for the Internal Revenue Service. Hal's wife works at T.'s wobbly firm, and is apparently having an affair with another employee. In an alcohol-fueled burst of heroism, Hal decides to go to Central America to locate T. In the ensuing tragicomedy, Millet lets us eavesdrop on Hal's very believable conversations with himself as he tries to make sense of T., Central America, his family, his own fate. Millet's unusual plots sometimes lead people to label her as a surrealist, but in this respect at least--these inner conversations--I think she's utterly realistic. David Downing, Sealing Their Fate: The Twenty-two Days That Decided World War II. It would have been an unusual reading season for me if it hadn't had any books about World War II. Recently I read two--this one and Richard Overy's The Battle of Britain, which argues that the British and German air forces were more evenly matched during that battle than legend leads us to believe. In Sealing Their Fate, we cycle several times through three war theatres--North Africa, the Moscow region, and the Pacific Ocean, during the period of November 17 to December 8, 1941. The military outcomes are uncertain in each case: In Russia, Moscow is not conquered but neither is Germany defeated; the fascist cause is far from lost in North Africa at the end of this period; and Japan scores a stunning short-term victory at Pearl Harbor. Downing doesn't show that these specific actions made defeat inevitable for the Axis, but in these weeks, the war's ultimate unsustainability becomes clear on a micro level (Rommel can't pursue tactical advantages when his tanks run out of fuel) as well as the global level (bringing U.S. resources fully into the Allied column). Anna Quindlen, Blessings. More family secrets! The story begins with an abandoned baby, discovered and protected and loved by the ex-con caretaker of Lydia Blessing's old estate. Quindlen is a master at leading her readers to invest their sympathies in a rich narrative that then takes sudden turns, and this novel is no exception. Along the way, the author leads us to think deeply about criminality, social class, and the power of kindness. Marilynne Robinson's Lila has arrived on my Kindle. I've not yet plunged in--still one more Swedish crime novel holds me in its grip. But I've been intrigued by Martin E. Marty's survey of reviews. Once again, the Perpetual War Watch department features Tom Engelhardt: "Inside the American Terrordome." Lynn Gazis-Sax on Ebola, border controls, and containment. As usual, she's a welcome voice of sanity. "Commanded," Julie Rudd's sermon on biblical law, from an Exodus series at Wilmington Friends, Ohio. Here’s the problem, though: the Ten Commandments have nothing at all to do with draconian religious rules. In fact, they have nothing much to do with religious rules at all. Which is why a courthouse is just about the worst place imaginable to display them.